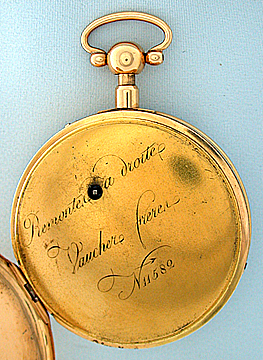 Fine 18K gold Swiss quarter hour repeater by Vaucher Freres circa 1800. 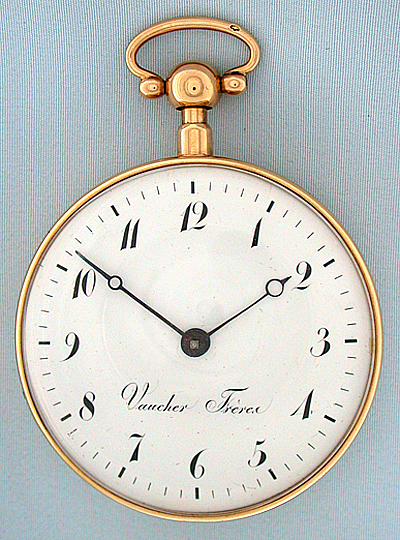 White enamel dial (minor scratches) with black Breguet numerals and blued steel Breguet hands. 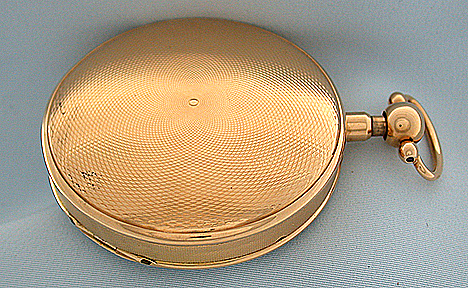 Engine turned drum case with engine turned band. 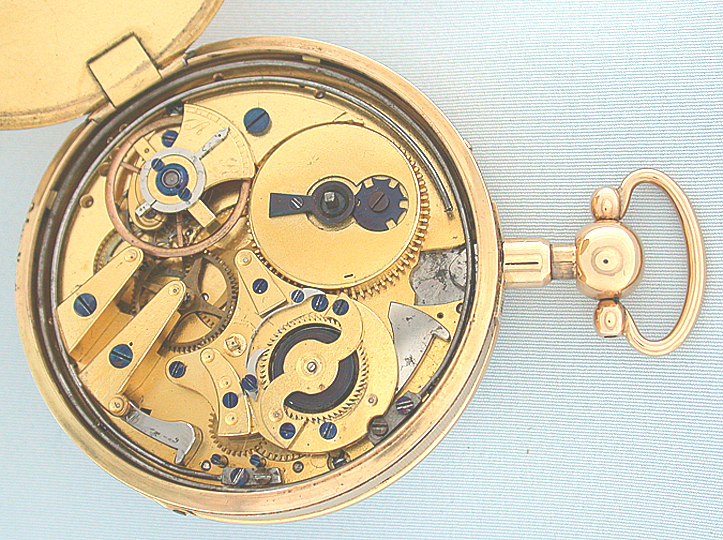 Lepine calibre cylinder movement with loud clear tone. Very attractive.